This week, Benjamin Netanyahu will receive a mandate to form Israel’s next government; great news for those who believe that only a semi-apocalyptic scenario will bring anything approaching justice to Israel-Palestine. Self-declared Israeli patriots are arguing that only when Israel really hurts will it be willing to change. Netanyahu’s lunatic diplomacy and rejection of the two-state solution will bring international isolation, global sanctions and rogue state status to Israel. The silver lining is that only global pressure will halt their descent into anti-democratic bi-nationalism. It’s notable that no-one has even bothered to roll out the Begin trope – usually revisited after a right-wing electoral victory that the Likud landslide in 1977 preceded the historic peace deal with Egypt in 1979. I spoke to an Israeli journalist when Netanyahu’s stunning victory became clear, expecting her to be distraught. But quite the reverse: she told me there was no reason for the left to be surprised, or to even descend into mourning. It’s true not much changed in Israel’s political landscape. Netanyahu just put his cards on the table, doing all he could to take votes from elsewhere in the right. Habayit Hayehudi shrank by a third to eight mandates; Yahad, the newly-formed ultra-rightist party, failed to make it over the electoral threshold. One of the saddest reactions the following morning came from Ishmael Khaldi, an Israeli Druze diplomat based in London. Khaldi, an Arab citizen of Israel whose Zionist credentials could not be more impeccable, was troubled. “My fear is we're going on a downslope-towards a nationalistic entity (for jews only! )…” he tweeted in response to Netanyahu’s dire warning. Netanyahu made it clear that Palestinians are now the enemy, whether within Israel or without, and no-one is buying his back-tracking, which began almost immediately. Two days after declaring to his domestic audience that there would never be a Palestinian state on his watch, Netanyahu told US television that in fact, he still wanted a “sustainable” two-state solution. (The obvious irony is that one of the Israeli right’s complaints against Palestinian leaders was the claim they said one thing in Arabic to their own people, and quite another to an international audience). This week, after President Reuven Rivlin taps him to form Israel’s next government, Netanyahu may do what he can to expand his narrow right-wing coalition to one more acceptable to the international community. He has little choice; the two-state solution may be deemed passe in liberal salons and amongst those on the hard right and the hard left. But in Washington and European policy circles, it remains the only the only game in town. It may have been nothing more than a charade for many years now, but take that away and the formal framework for conversation over Israel-Palestine collapses. And Israel is far from being able to articulate its alternative vision for a binational state. The closest it has got is Naftali Bennett’s autonomy plus in Areas A and B of the West Bank, ludicrously remote from any parameters acceptable to either the Palestinians or the international community. (Gaza is, of course, not on the agenda, just as it was absent from the entire election campaign). And it doesn’t help that Israel has no hard power solution to the Palestinian’s unilateral diplomatic strategy. It relies on US support, international goodwill and the backing of diaspora Jewish communities, all of which have been shaken by the Netanyahu victory, (with Barack Obama expressing disappointment with Netanyahu's direction). What’s left is a hardening of European policy towards the settlements, even the withdrawal of the legendary US veto at the Security Council, and Boycott, Divestment and Sanctions (BDS) in all its myriad forms. It’s true that some students’ union voting in a boycott of Israeli goods won’t deal a fatal blow to Zionism. Even EU sanctions on settlement products will not bring about Israel’s economic collapse. But the Palestinian bid to join the ICC was viewed as the doomsday scenario by Jerusalem, though it’s unimaginable that an Israeli citizen will end up in the dock. Even symbolic moves have their creeping effect, and the status quo is only sustainable through collusion, however passive. 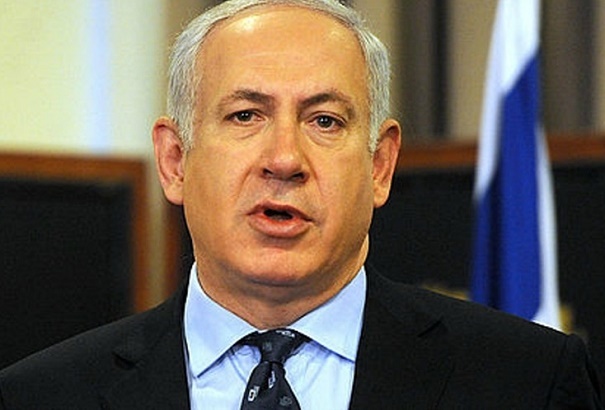 A fourth term would make Netanyahu Israel’s longest-serving Prime Minister, replacing founding father David Ben Gurion. It’s his economic and political vision that will define Israel and Zionism, not some dusty sepia-tinted mirage of tousle-haired kibbutzniks tilling the land and building a socialist (Jewish) utopia. There are some on the left who may still mourn this dream but it was never much more than a hallucination. Israel’s refusal to address the injustices of 1967 means the focus will now shift to those of 1948. International isolation is a slow process, but Netanyahu has made it inevitable.